Expert EMS Billing Since 1989.
" When we decided to change our billing company, we were very concerned about the transition and cash flow. ARS assured us that the transition would be smooth and that they would handle all of the paperwork. The transition was unbelievable, seamless and without any cash disruption! In fact, our cash flow has increased and their customer service is unbeatable. 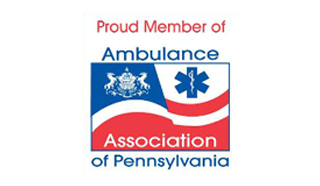 - Denise Doremus, Operations Manager, PMREMS "
" The crew at ARS and the management at MTAC have formed an instant partnership to assure MTAC reaches its goal of providing excellent patient care and documenting the care we provided. The response from the crew at ARS to my emails is quick and informative. In addition, if one of the staff does not know the answer, they will CC the staff member who knows the answer and that person usually contacts me quickly. Sometimes, Elisa or David responds on a weekend or night, too. The staff at ARS is knowledgeable, responsive and all have great personalities. We are thankful for our partnership. - Karen Standen, Business Manager "
© 2019 Ambulance Reimbursement Systems, Inc. All rights reserved.